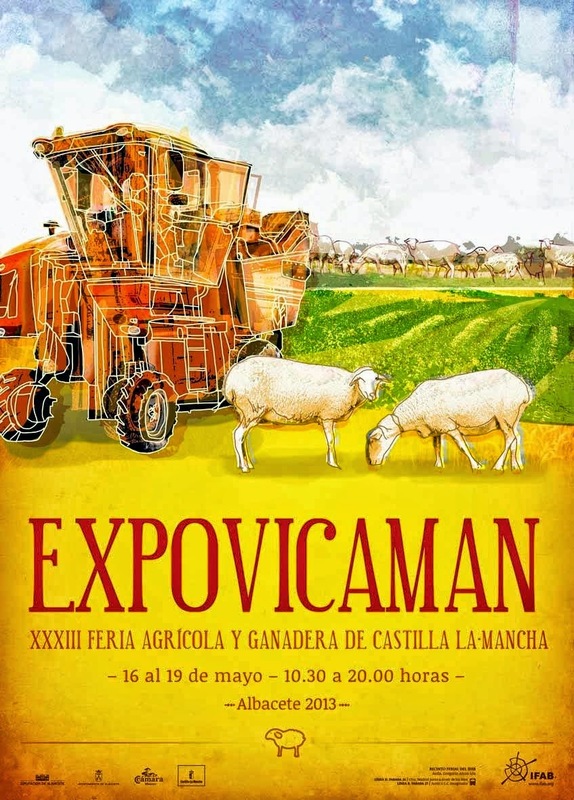 We visited the farm fair called Expovicaman on the last 19th of May, which is celebrated annually in Albacete. It has been its 23nd edition so this farm show is absolutely consolidated. The visitors had a large variety of machinery in its over 30,000 m2 and we could find really competitive prices. The official statistics say the amount of visitors was over 20,000 people in spite of raining all days in this edition. Positive: There was a big variety of models showed (some with poor specifications and other full equipped) by the most important brands of tractors like John Deere (new R Series), Same Deutz-Fahr (Agrotron TTV 7250), CNH (new T5 or Farmall Series) or AGCO Group (Fendt 514). We think a few dealers are very important in this area for these brands. Other great news were we could see a nice diversity of ploughs manufactured in Spain, whole of them (J. Quílez, Lasertiz, García Hoyos, Gil Seed Drills,...). Rollers, chissel ploughs, seed drills,... they are manufactured very accurately and they are cheaper than Germany brands, for example. Negative: we saw a poor stand of Claas... it was not right for this prestigious brand or its combines. Regarding a novelty of this farm fair it was the new 5 Seires of Deutz-Fahr, we don't know if it is for improving the old Agrofarm or if it is for becoming worse (and cheaper) the successful Agrotron K. In our opinion, it could be a DF if it would have a ZF gearbox. About the new 5600 Series of Massey Ferguson, in the future we will know if its 3-cylinder engine is a right decision for this type of tractor (maybe it is great for working with frontloader but we think it is not a good idea for ploughing jobs). We are looking forward some comments of our followers or the alluded manufacturers in this post. Fantástica exposición fotográfica y muy buenos detalles en algunas fotos como por ejemplo el trapecio del eje delantero del Fendt y el eje delantero del Kubota. Muchas gracias a ti por tu comentario. Sabíamos que esos detalles te gustarían.... ya sabes que "el detalle importa"
Buen reportaje fotográfico. Así da gusto. The pictures are incredible nice, and the day should be really enjoyable, isn't it?? Happy weekend and thanks for your advice. Las fotos son realmente buenas, seguro que pasasteis un día muy divertido, ¿me equivoco? Feliz fin de semana y gracias por vuestros consejos. Gracias por tu comentario. El día fue muy bueno. Thaks for your comment!!. We had a really funny day.